I’ve also heard that ingesting aloe vera is good for diabetics. Do you know anything about that? We decided that we’re going to get an aloe vera plant this summer and I’m really excited to put it in smoothies as some of the coconut water I buy contains aloe and I love it! When you say to filet the leaf, what do you mean? I’ve never tried the aloe plant before, but we do sell it at my family’s grocery store so I’ve seen it before. It’s good to know that benefits of what it can do. I know Acid Reflux is a common symptom towards the end of pregnancy so I’ll definitely keep this in mind! I’m sure it’s safe, right? I go to one gym, but I’ve actually been working out at home a lot more. I’ve only been getting to the gym about 2 days and week. I have a treadmill, free weights, and some other things at home so I can always get a good workout without leaving the house. I’m debating if I should cancel my membership once the baby comes. I do like escaping and getting to the gym, so I probably won’t! Yes! It helps to increase insulin sensitivity, so in diabetics (who have an issue of decreased insulin sensitivity), it helps them regulate blood sugar levels better. Yes, aloe is safe for preggos! I bought aloe gel once in a bottle from the coop, and tried it a few times but I had this whole procedure with chasers of other things waiting because I was paranoid I would be allergic or something, I really need to try it again though, as I have some definite digestive concerns and I’ve heard it is very effective. I’m a big fan of aloe and a bog fan of that refreshing looking aloe drink you have there!!! I really want an aloe plant. When I was a kid my mom always had one. She would use it for cuts, sunburn, etc. I have used it in the past for digestive stuff and really think I need to get more!! Thanks for the reminder! And thanks for the note in our doc…haven’t had a chance to reply but I now know even more why y you’re an amazing professor…so helpful! i am glad you are feeling great, lisa!! so much exciting stuff going on! i’m excited to hear how the session with the trainer goes tomorrow, and that is FUN that you will get to gym-hop! i do not have a gym membership right now, just use my condo gym, but i LOVE trying new gyms! thanks for the aloe info and recipe. that is wonderful news about your clients’ improvement with the addition of aloe to their daily regimen. glad you had sauna time yesterday – it’s cold and windy here today, a sauna sounds wonderful! oh – happy you have some projects coming together, too!! This is incredibly interesting! I always thought aloe was sort of a joke, but I never got around to looking into it a whole lot (and never really recommended it other than for burns). Thanks for the wonderful information! I mean…so many people have acid reflux these days! I was going to ask about pregnancy! Just yesterday I started getting heart burn so this post has perfect timing for me. I’ve seen those giant aloe leaves at the Pittsford Wegmans too… I’ll admit I’m a little scared (hahaha!) but I just might check it out! I actually have an aloe plant, but I never thought of eating/drinking it. How interesting! I’m looking forward to hearing about your and Laury’s project! And I’m very similar to you in that I’m very driven, yet I don’t always surround myself with the same type of people. I’m very excited to be surrounded by (hopefully) like-minded people in grad school. We’ll see. I know I already replied to this, but I feel compelled to add something! Some websites say not to take aloe while pregnant, but I can’t find any credible supported reasons to back that up (except some theoretical speculation that it could possibly cause uterine contractions—but there are no documented cases of that)—my recommendation would be to use it only with doctor approval when pregnant. Unfortunately, many doctors will just say not to use it because they don’t know about it. Any negative side effects (like diarrhea) would occur when taking too much—a 1oz shot of aloe juice in the morning (and/or before eating) is a very small amount. That being said, I’m sure any pregnant person would want to err on the side of caution and only use it with doctor approval and guidance! Thanks for researching it more for me! I’ll definitely run it by my doctor if I plan on giving it a shot! So far no acid reflux! My question is can you take it long term like every morning when you first wake up after your acid reflux heals ……. like 1-2 tbsp daily. 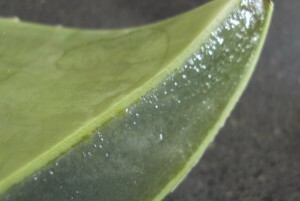 Many people do take a maintenance dose of aloe vera. I can’t really make a specific recommendation for you, but I do know that some people find they don’t need it at all after complete healing takes place, and other people continue to take a maintenance dose because they want to keep the issue at bay (and probably because they believe in the healthy properties of aloe vera in general). Thank you for replying. I will continue taking it also in a maintenance dose after my body is healed, as it’s really helped me in many different ways. I will do a maintenance dose by cutting back gradually and do probably 1-2 tbsp daily, see how my body reacts to less or more. I have incrased my dos to 4 tbsp a day right now as mentionned in previous post and it’s perfect for me right now. Take 2 tbsp upon waking and 1 tbsp before dinner or after depending and 1 tbsp during midday. Have a great Sunday and thank you for your blog. I’m in my 40′s and am about 40 pounds overweight. My symptoms started 2 weeks ago with a feeling like something was in my throat, then a few days later I got the burning sensation in my chest for 5 days straight that didn’t let up until I found this link. Got the Lily of the Valley Whole Leaf and take 4 TBSP first thing before breakfast, then 1 TBSP before lunch and dinner. That was working great for over a week with clean eating and exercising. Then 2 nights ago I had a spicy rice noodle shrimp meal and had two sized portions and had the slight burning sensation again. Just went to see my doctor and he said if I want to clear it up in 2 weeks I should take Zantac and then if that didn’t work he would test me for H. pylori. I’ve looked up the symptoms and don’t want to go on it. I’m on no medication and prefer the natural route. How long does it take to heal this with Aloe? I also have the Organic Braggs Vinegar and have tried that a few times but find the aloe is working better. Hi Sage, I’m glad you found the aloe to be helpful! It’s really hard to predict how long it would take to heal for you because everyone is so different, and it depends on many factors (most importantly, how much damage has been done). It is a good sign that you haven’t been experiencing symptoms for a long time, and you haven’t been on acid-blockers (which messes up the body’s ability to block the acid on its own. So, I’m really not sure how long it will take, but I think it’s a good sign that you experienced relief from it. The Zantac would allow you to eat more stuff now, but it’s a bandaid fix, so the long-term effects are not good! Good luck with it! I don’t drink this for acid reasons, so the citrus works fine for me. 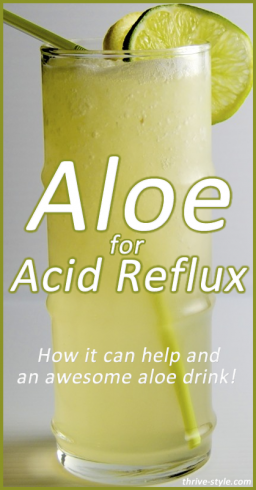 For anyone who is drinking the aloe for acid reflux, they’d have to experiment with the citrus (and maybe add some other juice instead if it bothered them). I’ve had clients drink it with no problems though. I have a husband with bad belly issues. I want to try this with both of us, but he hates coconut anything. He can’t stand the taste of it and I honestly don’t like coconut either. Is there something else that would be just as beneficial? Or google gelatin and digestive health for more info! 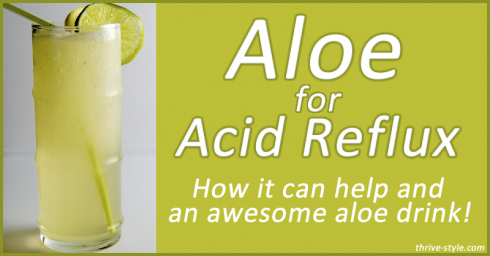 I found this article because I had heard Aloe vera juice is great for acid reflux. I’ve always had it but symptoms get worse and better over time. A year ago I had it real bad and I got a scope that showed Hiatal hernia and esophagitis. I had been diagnosed with gastritis years ago but was in what seemed like a “remmision” for awhile. Anyway I have been on 40mg nexium for about a year and recently it started flaring up worse. And even double dosing wasn’t working (nexium, zantac, each 12 hours. 3-4 carafate a day, I was swigging several capfuls of Mylanta and nothing was working. I was losing my mind. My last hope was to try natural alternatives. I started taking a pro-biotic and 4oz of Aloe Vera Juice mixed with cold water just yesterday. And I have noticed a decent improvement just after one day. I didn’t even have to take a nexium til 8 p.m. My intention is to completely get off nexium. But I’m curious, do you think it will take a long time for my body to readjust, in other words, how long might it be til I can survive with only Aloe Vera (and other natural remedies). Having read what I have recently, I will always chose things like Aloe Vera, Spirilina, Black Licorace Root, Probiotics, manuka honey (as needed) over acid blockers. Do you know of any other natural remedies I can add to what I’m already taking? Hi Eric, Your experience is really similar to that of many of my clients trying to get off acid blockers. The time period and the magnitude of improvement are really dependent on the specific person. But all I can say is that I have definitely seen several people be able to completely stop taking acid blockers by incorporating the shots of aloe. It depends on the person and how bad the reflux is (and how long they’ve been on acid blockers) how it all transpires though. Thank you, my GI doctor is a fine person, but he is not a “wholistic” doctor, and it’s hard to find one of those. I will share with him what I am doing. But I had called him recently and his only advice at that point was to refer me to specialists in Chicago. So he had felt he had done all he can for me. (put me on the max dose of every bandaid out there). I am glad there is information out there like your article to give me an other option. I will not take it as medical advice. But it’s too bad some of these natural alternatives aren’t FDA approved since they seem sometimes can help you much more than the prescription alternative. All I can do is thank you for your article and further advice. So thank you very much! I just want to let you know I have noticed an improvement even after only a couple days, so know that your article is helping people. Lily of the Desert that is exactly the one I got. Thanks so much for letting me know that you’re getting some relief from the aloe. I’ll add you to my list of success stories! I had to go off of my Nexium because it began depleting my magnesium. I suffered with muscle cramps all over my body. 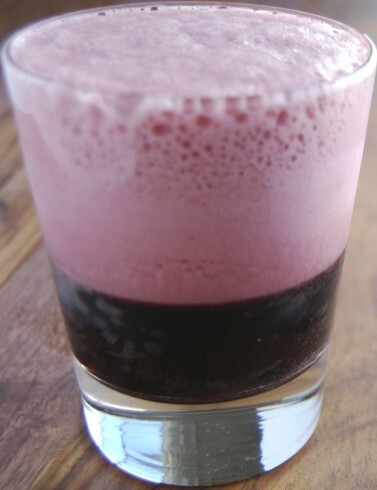 I thought it would be awful going off the Nexium, but I started drinking the Lily of the Desert Aloe Juice and it went so much better than I thought! I used it for about 2 weeks and my heartburn symptoms increasingly got better. I visited my local health food place and the owner said he drank another brand of aloe juice that tastes like water. I was very interested so I tried it. My symptoms began returning within a few days. I am anxiously awaiting my new shipment of Lily of the Desert aloe juice! It’s a shame no one carries it in my town. Thanks for the article! I have been pleasantly surprised at how well it works! Hi there. I love this article and recipe. I have two questions about the acid reflux. How long can it take before seeing results in reducing the reflux flare ups? & Is it safe for babies, children? I truly appreciate any info. I have a 6mth old who has reflux pretty bad. I haven’t started her on solids yet, and I’d like a more natural approach instead of giving a baby Zantac, which doesn’t work. I’ve heard aloe juice works, and I’d like to know your opinion on it. Thank you. Anyone with severe acid reflux (GERD) needs to avoid citrus at all costs. Drinking just the pure aloe gel is all that is needed. 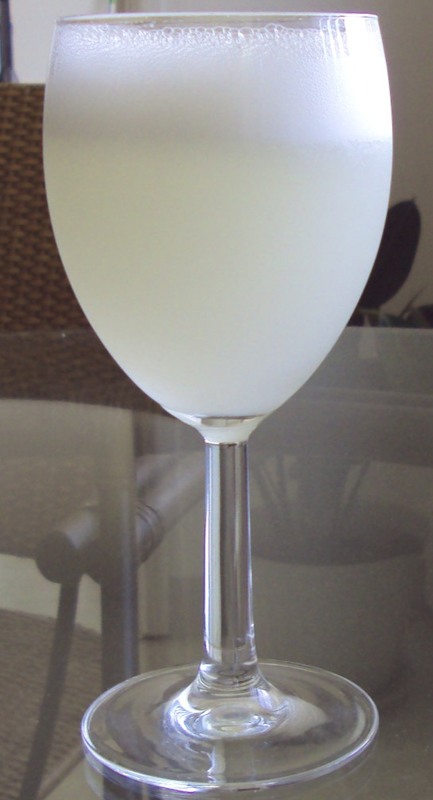 You must reduce the acidity in your stomach and lemon and lime juice are just fuel for the fire. Literally. I have been experiencing heartburn all week. I was diagnosed with gastritis years ago but didn’t experience any symptoms for years; Now it seems like it has returned and now its worse. I Googled to find healthy and natural remedies to treat heartburn and I ran into this site along with a few others. I just started taking the aloe juice tonight and so far, it seems like it is working well. I will come back to this site to update in about a week. I really like this blog. I think all of the entries are very helpful. I got the burning sensation in my chest for 5 days straight that didn’t let up until I found this link. Got the Lily of the Valley Whole Leaf and take 4 TBSP first thing before breakfast, then 1 TBSP before lunch and dinner. That was working great for over a week with clean eating and exercising. Then 2 nights ago I had a spicy rice noodle shrimp meal and had two sized portions and had the slight burning sensation again. Licorace root can cause dangerously high blood pressure, so be careful. Thanks for sharing this post..Really aloe vera is an amazing product for health and beauty care. Do you want to know about sarvliving? Sarvliving offers aloe vera products such as aloe vera juice, drinking juice, juice and many more. http://clashroyalehackdeutschvip.com/ is the right place to visit for some diamonds to your clash royale account! My mom took pure aloe as well and said it cured her too, which it did cause she eats whatever she likes now, her case was more severe than mine though, she said she was throwing up and her poop was black, they gave her medication but it didn’t work of course, so im hopeful drinking aloe will cure me 100% too, if not, i hope to get rid of this bloating as soon as i can through a healthy diet.